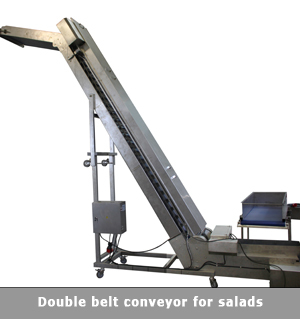 The conveyors are independent machines, which are an important part of every packaging installation. 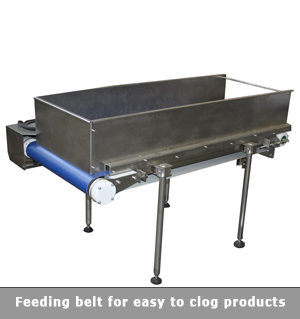 Their main function is related to the transportation of product towards the intake bunker of the dosing device and the maintenance of a fixed level of the product. 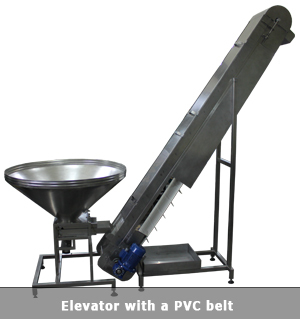 This type of conveyors is used for the transportation of dust-free granulated products, such as beans, lentils, rice, peas, coffee beans, nuts, animal food, pellets, pasta, cornflakes, musli, etc. 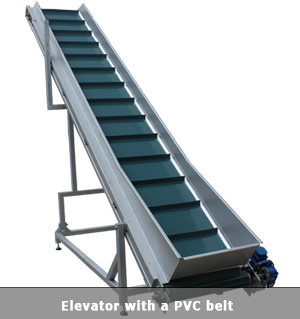 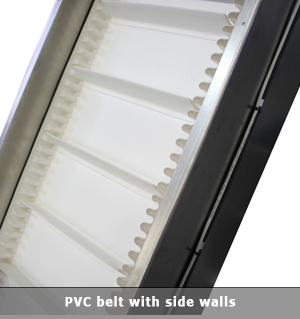 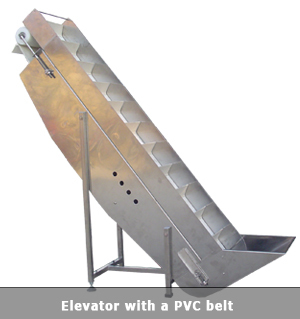 The product is loaded in the intake bunker of the conveyor, where via a belt or vibration is fed to the transporting flights of the PVC/PU belt, which move the product to the set working height. 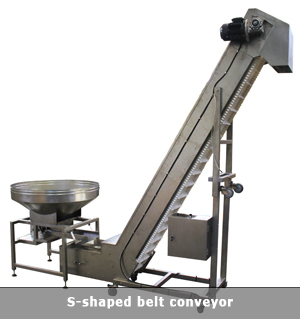 Depending on the customer's requirements and the specifics of the product, the belt can be offered in a variety of dimensions. 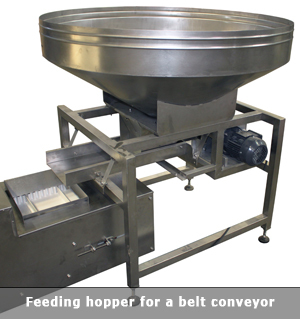 The feeding conveyors are manufactured from stainless steel and meet all the safety requirements for working with food products.